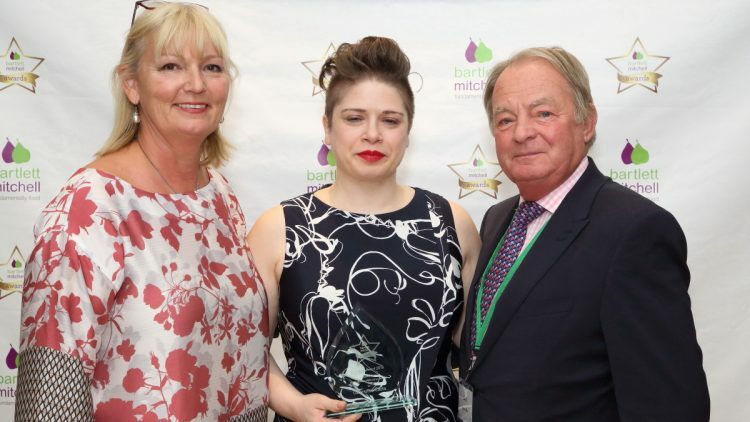 The bmStars were shining at our recent awards evening. It’s always one of Ian’s and my favourite evenings. It’s like having a family party! We know it’s a challenge for our teams to get out for an evening after a long day’s work. We appreciate that our teams have numerous other things they could be doing. To get so many gathered together was a pure delight and I’m happy that everyone thought it was worthwhile. With all the buzz and joy of winning, it can be a little disheartening if you didn’t win a prize. But at #bmfamily we try hard to make sure everyone feels special and knows we REALLY do appreciate them, both personally and professionally. Without them there just isn’t a bartlett mitchell! Our winners went ‘above and beyond’ and are some of the greatest bartlett mitchell ambassadors we have. More importantly it’s lovely to see the rest of the team share and recognise this. The whoops and cheers that went up when our lovely Giovanna won the Founders award was deafening, it just shows how deserving she was. The evening was catered for by our junior chefs. They worked together to show why they are the future of our business with their enthusiasm, talent and passion. It definitely was a case of the party being in the kitchen with everyone going in to say hello and congratulate them on their stunning food. The awards recognised our FOODIES values, (team and individual for each one) and Chef of the Year, followed by those who had been ambassadors for DARE (Delicious and Responsible Eating) and our fabulous Perkee coffee brand. We also awarded stars to those that had gained the 3 purple stars for achieving high scores in the audits and compliance systems. Lastly, it was a great joy to recognise the long service of many team members; it’s very scary to think we will get to a 20 year one soon – who would have thought that!? One of the things we want to promote, and instil into the hearts and minds of our teams, is by living the FOODIES values, there is a great deal of enjoyment and growth to be had both as individuals and teams. For all the financial reward and fame that comes from running your own business, there is genuinely no greater pleasure than seeing what you can do for and with others. Creating a great place to work is proof of the exceptional team we have at bartlett mitchell. Congratulations one and all.